Dunder Casino is a beautiful instant-play online casino that has been online since 2016. Despite lacking the decades of experience of its competitors, however, it manages to succeed where many have already failed – to guarantee its customers an equally fair, diverse and fun Internet gaming experience. Its smooth, powerful platform is available for Windows, Mac and mobile, while the games are provided by a plethora of software developers, including leading studios like NetEnt, Betsoft, Microgaming, Play’n GO, Evolution Gaming and more. The online casino has one of the most impressive collections of games right now – more than 1,000 titles across all styles and categories can be found in the lobby. They are neatly organized and categorized into various groups and themes – Blackjack, Roulette, Live Casino, Jackpot, Egypt, Classic Slots, Stacked Wilds, etc. The games load instantly and feature crisp graphics, stunning animations, and even 3D effects. The entire casino has, in fact, a stylish, modern appearance and a responsive, user-friendly interface that allows you to find anything you need within seconds. This fresh, innovative look is just one of the impressive aspects of Dunder Casino. It is also fully mobile optimized and can be opened on every modern hand-held device, whether it runs on iOS, Android or Windows Mobile. No download is necessary – the casino, as well as over 500 games from its Lobby, can be instantly opened in the browser of your phone or tablet. The operator behind Dunder Casino is MT SecureTrade Limited which holds licenses from two of the most reputable gambling regulators, the UK Gambling Commission and the Malta Gaming Authority. This is a sign of the gambling operator’s dedication to fairness and security, and to the high standards it sticks to in this extremely competitive industry. Players who register at the website can rely on a fast, professional customer support, available in several languages. Multiple currencies are also accepted, while the great variety of safe and fast banking methods guarantees convenience for players from all around the world. To enhance the gaming experience for its customers and boost their bankrolls, Dunder has also prepared an exciting Welcome Package that gives up to £600, as well as 200 free spins. Online Since Dunder Casino was launched in 2016 by MT SecureTrade Limited, the operator behind CasinoLand, Guts Casino, and Rizk. Deposit/Withdrawal The minimum deposit and withdrawal amount is £20. Both maximum deposits and withdrawals are capped at £5,000 per transfer. 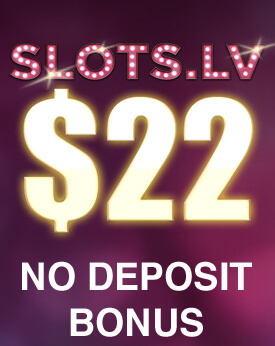 No Deposit Bonus Players receive 20 free spins on Starburst upon registration without making a deposit. 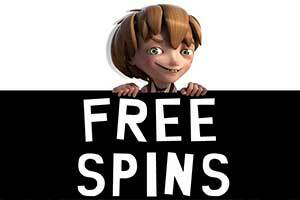 The winnings from the free spins are given as bonus funds and are subject to a 25x wagering requirement. Each bonus needs to be activated by the player and has a wagering requirement of 25 times the amount of the bonus and the deposit. The winnings from the free spins also need to be wagered 25 times before a successful withdrawal. When playing with bonus money the maximum bet allowed is £5. This offer is only available to customers residing in United Kingdom. Regular Bonuses Dunder does not currently display all its promotions, but it does offer its customers various deposit bonuses, free cash bonuses, and free spins on a regular basis. They are specifically designed for individual users and need to be activated from My Dunder section after login. Unless specifiedotherwise, they are subject to a 25x wagering requirement. If the playthough is not complete prior to withdrawal, all funds associated with the bonus will be forfeited. Loyalty Programme The casino does not have a Loyalty or a VIP Programme listed on its website. 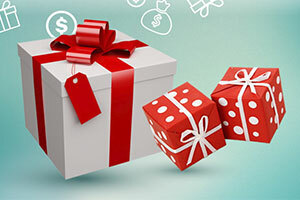 Regular players, however, receive frequent bonuses and special offers in their account or as a text message. Software The games at Dunder are provided by an array of software developers and game studios, including the biggest names industry. Currently, the providers represented at the casino are NetEnt, Microgaming, Quickspin, NextGen Gaming, Play’n GO, SGI, IGT, Evolution Gaming, WMS, Bally, Barcrest, Edict, Thunderkick, Elk and Betsoft. Popular Jackpots Players at Dunder Casino can win big with the many progressive jackpot games on offer. Among them are hit titles such as Hall of Gods, Mega Moolah and Mega Moolah Isis, Mega Fortune,King Cahalot, Major Millions, and Treasure Nile. Game Types The impressive collection of games includes more than 1,000 titles across all major categories. 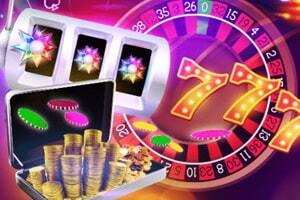 Players can enjoy hundreds of video slots, classic fruit slots, roulette games, blackjack, baccarrat and poker. There are also many fantastic 3D slots, progressive jackpot games, video poker variations and scratch cards. Seasoned players are welcome to experience the thrill and excitement of Dunder’s exclusive Live Casino. Live Casino Registered players can enjoy high-quality live dealer games courtesy of Evolution Gaming and NetEnt. The Live Casino Lobby has several blackjack and roulette games, as well as Live Bacarrat, Live Casino Hold’em, and Live Three Card Poker. The game sessions are hosted by professional dealers and stremed to your computer or mobile device in real time. Mobile Casino Dunder Casino is fully optimized for mobile use and can be opened instantly in the browser of every iPhone, iPad, Android phone or tablet, or any device that runs on Windows Mobile. Players can experience the convenience and flexibility while playing on go and enjoying more than 500 mobile games. 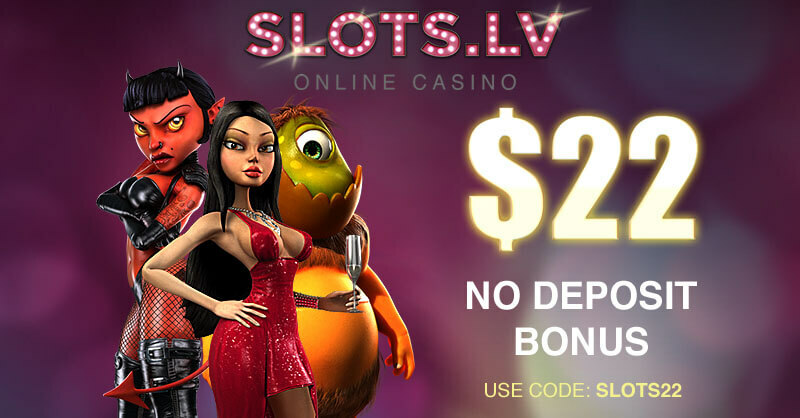 Deposit Methods The online casino accepts a wide range of fast, secure and convenient payment methods. These are conventional MasterCard and Visa credit or debit cards, as well as direct banking service providers such as Trustly and Euteller. The popular e-wallets Skrill and Neteller are also great options, but players can also opt for prepaid solutions such as Paysafecard and ecoPayz.Some of the deposit methods are country-specific and may not be available in your country. Currencies Dunder accepts payments inthe following currencies – EUR, GBP, USD, AUD, NZD, SEK, and NOK. The base operational currency is EUR. 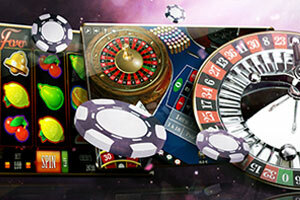 Languages Currently, the casino is available in four different languages – English, Swedish, Norwegian, and Finnish. Support The casino provides a reliable and professional customer support teams who wil try to assist you as quickly as possible. They can be contacted at help@dunder.com or via the Live Chat, which is open every day from 10.00 to 00.30 CET. Licences Dunder is a legitimate and fully regulated online casino, owned by MT SecureTrade Limited, which is registered in Malta. The operator holds licences issued by the Malta gaming Authority (MGA/CL1/954/2014 and MGA/CL1/955/2014) and for British players, by the UK Gambling Commission (licence number 039575-R-319439-002). The collection of games at Dunder is truly fascinating as it contains more than 1,000 titles from a vast range of software providers. As a modern online casino that aims at being creative and unique, Dunder Casino has one of the most innovative, user-friendly and visually appealing gaming lobbies on the Internet. The fresh, trendy looks combine perfectly with the design – all is neatly organized and divided into separate categories so that you can find anything you need within seconds, whether you are a regular player or a first-time visitor. But the gaming categories at Dunder Casino are much more than just descriptions of the type of games within. Along with categories such as Classic Slots, Roulette, Blackjack, Live Casino and Jackpots, there are also categories like Blockbusters, Mythology, Falling Symbols, Sticky Wilds, Christmas, etc. This method, introduced by Dunder when it launched in 2016, helps players browse through the lobby and find games easily by feature, type or theme. Of course, there are also many games listed in Video Poker, Table Games, Video Slots, and Scratch Tickets. Moreover, you can also find games by software provider – NetEnt, Play’n GO, IGT, Microgaming, Yggdrasil, Evolution Gaming, WMS, NextGen, Betsoft, Elk Studios, Thunderkick, and many others. Note that you cannot open the games in practice mode without registration – in order to play, you need to sign up for a real-money account. Dunder has an extensive collection of online slots that vary in style, genre and theme. Of course, there is a fun selection of classic slots, most of which have simple designs, basic graphics and only 3 reels. If you enjoy playing such old-schools games, you can try the appropriately named Retro Reels – Extreme Heat, or games like Blazing Hot 7s, Red Diamond, and Break Da Bank. While some of the classic slots at Dunder Casino are really simplistic and lack special features, others come with bonus payouts, multipliers, and wild symbols. If you are looking for more exciting, feature-rich slots, however, you should browse through the lobby as there is a wide variety of video slots. Some of them boast 3D animations, others come with movie-like intros, but overall, these games have plenty of special features like Wilds and Scatters, bonus rounds, free spins, and many others. The collection includes many popular slots such as Starburst, Thunderstruck II, Valley of the Gods, Rich Wilde and the Book of Dead, Twin Spin, Avalon, Immortal Romance, Dead or Alive, Spartacus, and more. There are also various video slots inspired by books, films and TV like Psycho, The Invisible Man, and Bruce Lee, as well as several games that originally started as slot machines in Las Vegas casinos. Some of them are Frozen Inferno, Black Widow, 100,000 Pyramid, and Western Belles. All roulette games at Dunder Casino are conveniently listed under their own category and feature lovely, crisp graphics and modern looks. NetEnt’s European Roulette, for instance, is one of the company’s newer releases and can be played at Dunder for fun or for real money. The game has a convenient design that lets you see the table and the spinning wheel at the same time and look at statistics, including hot and cold numbers and how often the winning numbers were black, red, odd, or even. In addition, you can place over 30 special and racetrack bets, although this is not a French-style roulette. The French Roulette by NetEnt has quite a similar design and features, but it boasts a bit more sophisticated look with the dark-coloured table. 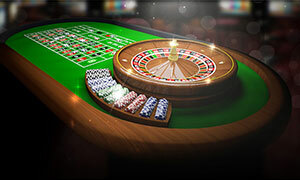 The casino also hosts the two-zero American Roulette game by NetEnt, which comes with the same appearance with the exception of the table, which is in a dark red colour this time. All versions have the same bet limits ranging from £0.10 to £5,000 per spin. There is one more roulette game on offer – Roulette Advanced High Limit, which is a European-style roulette game with a minimum bet of £10. The maximum amount you can wager is £5,000. Along with the standard inside and outside bets, it has neighbour bets and all the French bets from the racetrack. Despite the abundance of slots, the selection of blackjack games at Dunder casino is rather limited. One of the best games available is Play’n Go’s Blackjack Multi Hand, which is, frankly, among the best card and table games on offer at the online casino right now. This is a classic game of blackjack which is played with 6 standard decks of cards and the blackjack is paid 3 to 2. The dealer peeks for blackjack as in all American-style games of blackjack, he draws to 16 and stands on all 17s. Hands are split just once, while doubling is allowed after a split, except after splitting Aces. You can also place an insurance bet that pays 2 to 1. The minimum bet is £1 and the maximum bet allowed is £100, so the game should be suitable for even casual players who are not confident in their skills and would not risk too much. Also, Dunder Casino patrons can play with up to three hands at a time, which means that they can wager up to 300 per game round. The casino does not provide the theoretical return rate of the game, but considering the above-mentioned rules, it should be more than 99%. 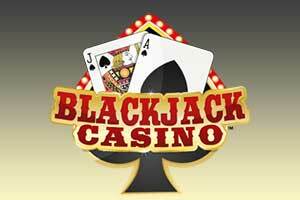 Several other blackjack games can be played at Dunder – Super 7 Blackjack and Pirate 21, as well as European Blackjack Redeal, Double Exposure, Pontoon, Vegas Downtown, Atlantic City Blackjack, and others. Video poker gained popularity in the past couple of decades due to its simplicity and the excitement of poker it brings. While it was originally played on slot machine-like terminals in land-based casinos, today most online casinos including Dunder offer different variations of this interesting and quite rewarding game. Once you open the Video Poker category in the lobby, you will see several versions, each having slightly different rules and pay tables. The casino hosts some of Microgaming’s top video poker games such as Double Joker Power Poker, Double Bonus Poker, and Tens or Better. The graphics are not as sophisticated as in other games, but when it comes to video poker, most software providers focus on what is more important – the gameplay and the average payout of the games. Most of the video poker versions at Dunder Casino are full-pay games and feature RTP percentages of over 99.50%. This means that the house edge is often lower than 0.50%. Other video poker variations you can play at the online casino are single and multi-hand formats of Aces and Eights, Deuces Wild, All Aces, Jacks or Better, and Jackpot Deuces. Some of the most popular progressive jackpot games in the world are also available at Dunder Casino. In order to play for the top jackpots, casino players should register an account and open the Jackpot category in the Lobby. The progressive slots cannot be played in practice mode, so you need to make sure you made a real-money deposit first. Another thing to consider is that you may need to spend a little more than the usual when playing these types of games. In most cases, you are required to play at the maximum bet level or, in other words, to wager the maximum amount of coins in order to be eligible for the jackpot. The larger investment may be risky, but it may also be very profitable as progressive jackpots can often reach seven-figure amounts. They start from a fixed amount of money and they rise with every bet placed on them, so the most popular games also feature the most attractive jackpots. Some of them are offered at Dunder Casino – Mega Moolah and Mega Moolah Isis, where the jackpot starts at £1,000,000, Mega Fortune, King Cashalot, Greedy Goblins, Tycoons Plus, The Slothfather, Tunzamunni, Fruit Bonanza, and many more. One of the best sections at Dunder is its Live Casino where registered players can bet on various games hosted by professional dealers and streamed in real time. 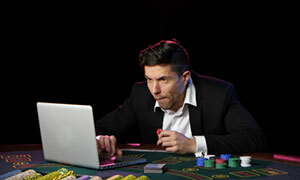 The feed is brought to your computer or mobile device in the highest quality possible, but before you open any of the live dealer games, you need to make sure you have a stable Internet connection. 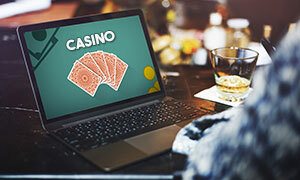 Dunder’s Live Casino is powered by two of the largest providers of online casino software and live dealer games today, Net Entertainment (NetEnt) and Evolution Gaming. Once you open this section of the casino, you can play some of NetEnt’s top games, namely several live versions of roulette, blackjack, baccarat and poker. Evolution’s releases are also remarkably good in terms of both graphical quality and gameplay. Its Live Blackjack is a fast, slick and user-friendly version of blackjack, which offers a Bet Behind side bet, along with Double Down, Insurance and Split Pairs. Roulette fans will not be disappointed, as well, as Evolution’s Live Roulette and Deutsches Roulette include several tables with different bet limits and specific rules. Players at Dunder Casino also enjoy Live Baccarat, as well as the popular Live Casino Hold’em and Live Three Card Poker. Gamblers can choose from low-limit or VIP tables, where the stakes and the prizes are much higher. How to Claim the Welcome Bonus at Dunder Casino? Newly registered players are eligible for receiving the Welcome Bonus when they deposit £20 or more into their gaming account. They receive match bonuses of up to £600 on their first three deposits, as well as 200 free spins on the popular slot by NetEnt Starburst. To claim the bonus, users simply need to activate it from the My Dunder tab, displayed after login. Is Depositing at Dunder Safe? Yes, it is perfectly safe to deposit and withdraw your winnings from Dunder. 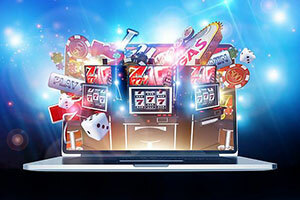 The online casino makes use of the latest innovations in security technology such as the 256-bit SSL encryption protocols that keep any data transfer on the website private and fully protected. This means that both your banking details and personal information stays private, while financial transactions are encrypted and visible only to your bank or other payment service provider. Dunder Casino usually processes withdrawals within 24 hours. Depending on the payment method you have registered, your winnings reach your e-wallet or credit card instantly or within a period of up to 3 business days. 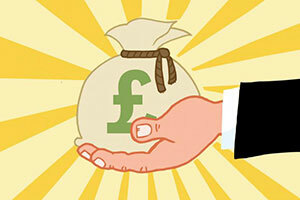 No additional fees are charged and the maximum amount you can cash out is £5,000 per transaction.